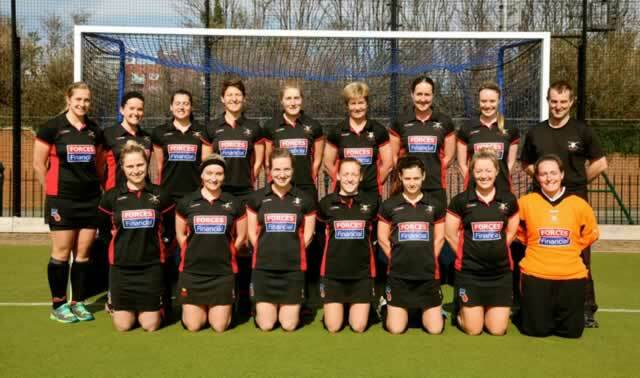 The 2013/14 Season, was another fulfilling one for the Army Ladies, achieving our 3 objectives of retaining the Indoor Inter Services trophy, gaining promotion back to the National League Indoor Tournament for next season and convincingly winning back the Outdoor Inter Services trophy. Indoor Inter Services – The ladies produced an impressive performance at the tournament with convincing 7-2 and 7-1 wins over the RAF and Navy to crown their 15th year of consecutively winning the tournament. Indoor Qualifier – Having been relegated from the National League Indoor competition last season, the ladies went to the West Qualifier in Exeter and won the tournament to progress to the National League Div 2 tournament (North Pool) which was held at Perdiswell Leisure Centre, Worcester over the weekend 04 – 05 Jan. This was a very tough tournament with 3 key players away skiing on the first day and driving straight up to Worcester from airports to join the team that day. The squad produced an excellent performance, winning 4 and losing 1 match to finish 2nd in the league. This meant that the team qualified for the main National League Div 2 tournament consisting of the top 3 teams from the North and South pools respectively and more importantly means that they have retained their National League status for next season. The Div 2 tournament took place at Nottingham Trent University over the weekend 18 – 19 Jan. After the 1st day of matches were completed, all 6 teams were level on 3 points having won 1 and lost 1 match each, with goal difference ranging from -2 to +2. On the final day the won 1 and lost 2 matches so finished in 4th place. The girls were disappointed, as they felt that they should have come in the top 2 which would have gained promotion to Div 1 for next season; however it was still a huge achievement to be classified as the 20th ranked Indoor Team in England. Outdoor Inter Services – This year we had a strong squad for the outdoor Inter Services and the girls were determined to win the tournament after the bitter disappointment of losing to the RAF the previous year on goal difference. We had a good training week in February which included matches against Old Loughtonians, Southampton and Henley and a final match before the Inter Services against an England Masters team. We beat the Navy 11 – 0, the RAF beat the Navy 10 – 0 and we then beat the RAF 4 - 2 to win back the title. 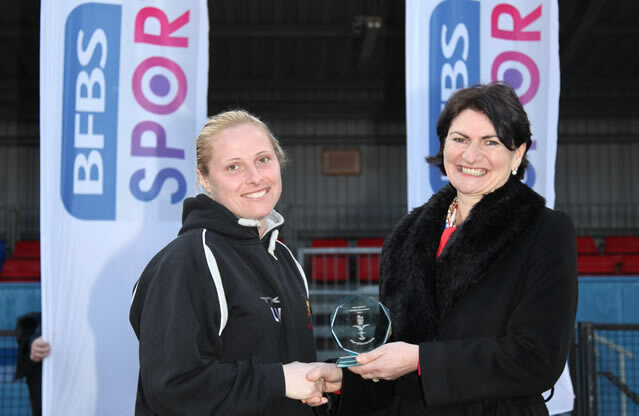 Cpl Katy White was awarded Ladies Player of the Tournament and 2 players received their Army colours. Next season our wish is to develop our younger players for the future and depending upon the availability of our quality Indoor players we aspire to gain promotion to the National League Division 1.